Emily Westhoven took on her duties as Executive Director of GABC in May 2018, bringing her extensive knowledge of both the German and American cultures to this position. A native of Germany and a public relations professional by training, she has been living and working in the Boston area since 1996. After working at and for PR agencies in Boston for a number of years, she has been serving most recently as a representative for Baden-Württemberg International. 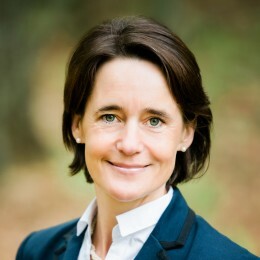 She joined the school committee of the German Saturday School Boston in 2008, chairing the committee for four years until 2017. Currently, she serves as an advisor and non-voting member to the Board of Trustees of the German International School Boston. Emily graduated with the equivalent of a M.S. in marketing communications (Gesellschafts- und Wirtschaftskommunikation) from the University of Arts, Berlin. Her move to Boston came via California where she completed an international Marketing Certificate Program at the University of Berkeley (Extension). She is fluent in both German and English and also speaks French, which she honed during a year of training and internships in Brussels. 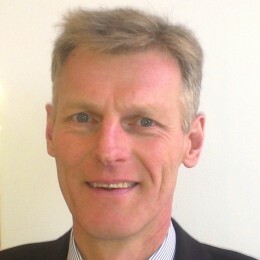 Bodo Liesenfeld is the Managing Partner of Liesenfeld International GmbH, a private investment enterprise. For nearly 30 years he was the CEO and Chairman of the German-based Rohde & Liesenfeld, an international air and sea freight forwarding group with a global presence. He is the Honorary Representative of the City of Hamburg to the Northeast of the U.S. and he has been serving as Chairman of the German Latin America Business Association since 2006. He came to Boston as a Fellow at Harvard’s Weatherhead Center for International Affairs (2009-2010) and since then has made Boston his primary home while still maintaining a presence in his hometown of Hamburg. He is the Chairman of the Advisory Board of the Berklee Global Jazz Institute; a Member of the International Advisory Board of the Business School IAE in Buenos Aires; a Founding and Presidium Member of the Council of the German American Conference at Harvard e.V., and a Member of the Curatorship of the Protestant Entrepreneur Association in Germany. 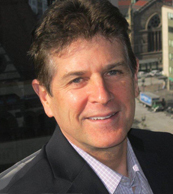 Charlie Cameron is a seasoned business professional at Cooley LLP with two decades of helping technology companies in all industries on their growth and financing strategies. He serves as a Senior Vice President of Business Development and is resident in Cooley’s Boston office. Charlie’s background includes over 20 years of management consulting, strategy, and marketing experience. This includes extensive consulting, board work, mentoring and coaching with early-stage, venture-backed, and Fortune 500 firms. Having worked in over 20 countries, including being based in Geneva, Switzerland and spending significant time in Russia and Asia, he brings a global perspective to business, marketing and entrepreneurship. He has been an executive Panelist, IMD, Switzerland, for the World Competitiveness Yearbook, from 2003 to the present. He has built an extensive network of entrepreneurs, VCs, angel groups, bankers, lawyers and accountants. Charlie is also the Founder & Managing Director of Hub Angels Investment Group. Michael Haueisen is Vice President Strategic Procurement for Siemens Energy Management US / Can. Michael was born and raised in Germany and came to Boston in 2003 due to job relocation with his company OSRAM, one of the two largest global lighting companies headquartered in Munich, Germany. The US entity is OSRAM SYLVANIA located in Wilmington, Mass. He is currently based in the Boston area. Prior to his current roll Michael worked as Senior Director of Global Procurement North America for OSRAM SYLVANIA in Danvers, MA. He is now Vice President of Strategic Procurement for Siemens Energy Management US / Canada. Siemens was founded by German Werner von Siemens in 1847. Today it is the largest Europe-based electronics and electrical engineering company. With 360,000 employees in 190 countries, Siemens reported worldwide revenue of approximately $120 billion in fiscal 2011. Siemens in the USA reported revenue of $20 billion and employs approximately 60,000 people throughout all 50 states and Puerto Rico. Michael received his Master in Chemical Engineering from the Technical University Munich, and also holds a Master of Economics from the University of Augsburg. 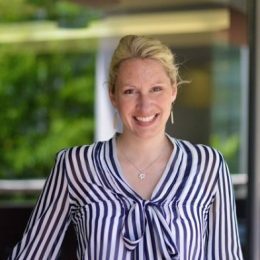 Anneke Kramm, PhD, is working as Strategic Partnership and Outreach Manager for the Cancer Cell Line Factory at The Broad Institute of MIT and Harvard. She serves as the key liaison in collaborations between scientists, clinicians, funders, and patients. Anneke is a native German and earned her Ph.D. in Medical Sciences from the University of Oxford, UK. She is a member of the GABC Board of Directors, founding member of GABC's Young Professionals group, and sits on the YP's Steering Committee. Drawing on her experience as both mentee and mentor in the past, she is the driving force behind GABC's new Mentoring Program. Heri Sontgerath is the VP Finance & Operations for nora systems, Inc., the leading manufacturer of resilient rubber flooring solutions. Heri is responsible for accounting/controlling, logistics, HR, IT, and facilities. Prior to nora, Heri worked as CFO at Plansee USA LLC for 15 years. Heri holds a BS in Mechanical Engineering from Aachen University of Applied Sciences, a MBA from Pforzheim University and an MS in Finance from Rensselaer Polytechnic Institute. He is the former Chairman of the school committee of the German Saturday School Boston. The school, founded in 1874 and part of the Boylston Schul-Verein (“German Club”), offers German language education to students from Preschool to grade 10. 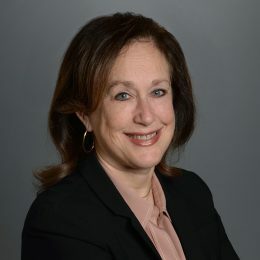 Susan G. L. Glovsky is a Principal in the Boston office of Hamilton Brook Smith Reynolds. A patent attorney, Susan represents science and technology companies in all facets of invention enforcement and protection from the courtroom to the Patent Office. Susan works with clients to achieve their goals in patent, trademark, trade dress, and trade secret matters. Her experience covers a broad spectrum of technologies and industries, including biotechnology, chemistry, electrical, mechanical, green technology, ecommerce, medical devices, and consumer products. Susan has wide-ranging experience representing national and international clients enforcing patents and defending against patent infringement actions through means tailored to the particular business and circumstances. Susan handles patent disputes in courts throughout the country and before the United States Patent and Trademark Office. She has tried cases to juries, judges, and arbitrators, and she is a member of the American Arbitration Association’s National Roster of Neutrals. Her experience handling contested matters before the Patent Office as a Registered Patent Attorney for more than three decades enables her to develop and carry out effective strategies in interrelated courtroom and Patent Office proceedings. Susan is equally adept at pursuing and defending against enforcement actions in the trademark realm. Helmut Landes is the Deputy Consul General at the German Consulate General Boston. 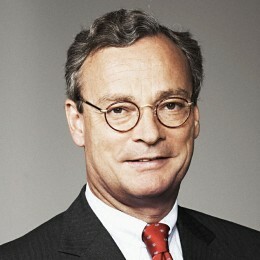 He joined the German Foreign Service in 1976. Besides various assignments at the Foreign Office in Berlin, his previous overseas postings have been at the German Embassies in Guatemala, Turkey, Algeria, Spain and Pakistan. As Head of the Provincial Reconstruction Team in Northern Afghanistan he was in charge of coordinating Germany´s reconstruction program. During his career he has also been involved in national and international security policy initiatives. 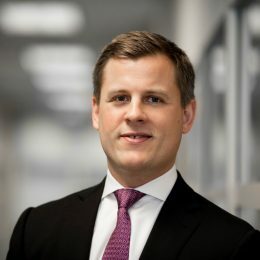 Helmut Landes is currently Deputy Consul General for the New England States at the Consulate General of the Federal Republic of Germany in Boston. 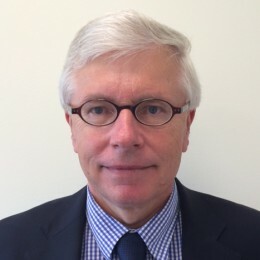 Jan Hartmann, M.D. is Vice President, Head of Medical Affairs at Haemonetics, a global leader in blood management solutions, where he has global responsibility for medical affairs, clinical development, academic partnerships, and medical safety. Previously, Dr. Hartmann spent nearly a decade at McKinsey & Company where he most recently served as Associate Partner in the Global Pharmaceuticals and Medical Device Practice. He received his M.D. from the Albert-Ludwigs-University of Freiburg in Germany. Additionally, Dr. Hartmann was a research scientist in the Department of Cell Biology at Yale University School of Medicine and a scholar of the German Academic Scholarship Foundation (“Studienstiftung”). Uli Mittermaier is a serial technology entrepreneur and angel investor. Currently he is Co-Founder and CEO of Appsulate, a Boston-based cyber security software company. Previously he was Vice President, Strategic Partnerships, at Intralinks, a leading provider of cloud-based content collaboration solutions. Uli joined Intralinks through the acquisition of docTrackr, a venture-backed cloud security company he co-founded. Prior to that he was co-founder and CFO at Munich-based Brainloop, a software-as-a-service provider of secure document workspaces. Uli started his career at Netscape Communications. He attended Ludwig-Maximilians-Universität München, graduating with a master in business administration and computer sciences, as well as Harvard University. Angelo is a commercially focused senior healthcare executive with 20 years of progressive worldwide leadership experience, working and living in Europe, Asia-Pacific, U.S. and Latin America. He is currently the Chief Executive Officer of InGeneron, Inc., a multinational regenerative medicine and biotechnology company formed to innovate cell-based technologies, operating in the U.S. and Europe. 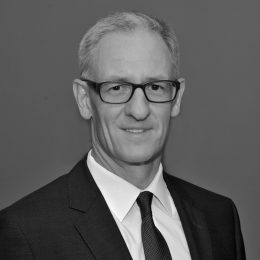 Prior to joining InGeneron, Angelo was CFO of Fresenius Medical Care North America Holdings, the US-based division of Fresenius Medical Care, a leading global medical device and healthcare services group. Earlier roles include CFO for Fresenius Medical Care Europe, Africa, Middle East & Latin America; VP, Business Development for Fresenius Medical Care Asia Pacific, and Head of Investor Relations. 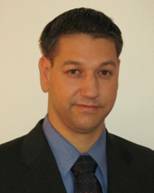 Angelo holds a Doctorate in Business Administration and a Master’s Degree in Economics. He and his wife live in Boston. German Accelerator Life Sciences (“GALS”) helps young German life science companies succeed in the global market. GALS provides individualized and highly flexible services, tailored towards the specific needs and objectives of startups and emerging companies in the life sciences. Experienced mentors and consultants work with the participating teams to establish networks of potential clients, partners, and investors. 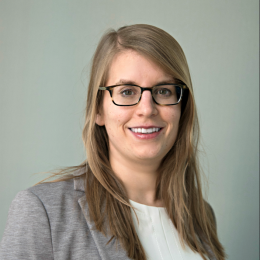 Prior to joining the German Accelerator, Dr. Kröger was a Postdoc researcher, analyzing the influence of the tumor micro-environment on tumor progression and cancer stem cell formation.